As its name suggests, these brushes come with a very special feature: simply press the bottom of the brush and a light-up timer will start. 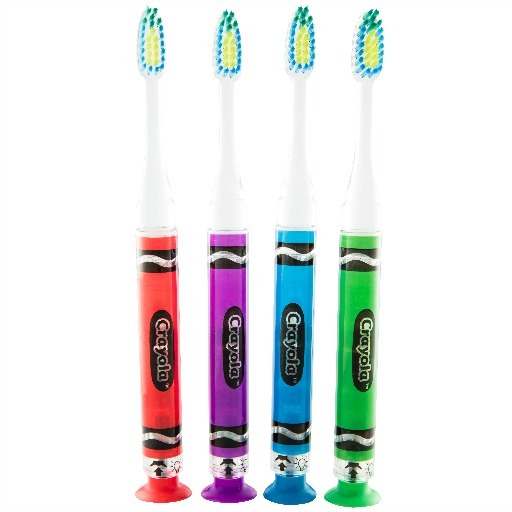 The bright light, which is color-coordinated to match whichever of the “crayons” kids choose, flashes for two minutes, the length of time that dentists recommend brushing for. Plus, the bottom is a suction cup so you can store this brush on the countertop, rather than in a dirty drawer.